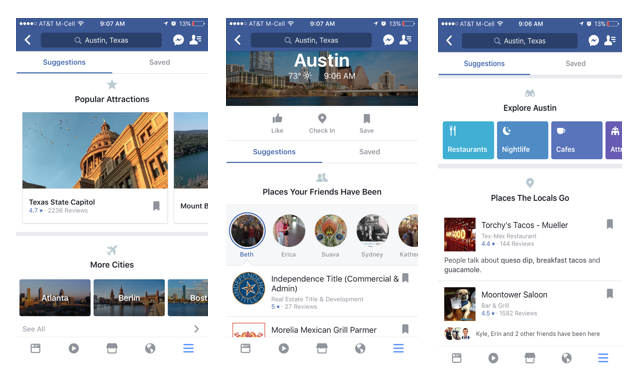 It turns out, Facebook’s City Guides feature, intended as a travel planning resource, can be used to learn more about the city you live in, or are looking to move to. Simply search for a city (currently only 20 cities in America), and then explore each category (restaurants, nightlife, cafes, parks, attractions, etc.). 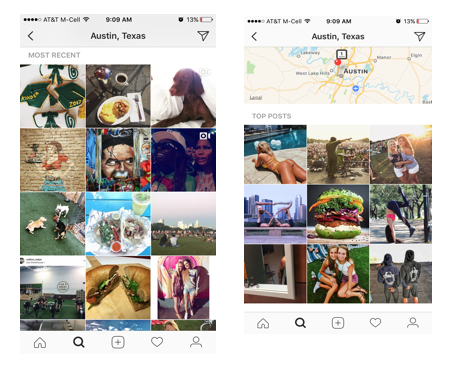 Lucky for us, Facebook has already created a City Guide for the Austin, TX, area. Go in and take a peek! You can explore where your friends in the area go, or you can go straight to the section called “Places the locals go” to get a good feel for the area and places you should try now, or when you move to the city. How to find it: On your mobile app, click on the bottom right button and look for City Guides in the menu. This feature is extremely new, so make sure to install the latest version before looking. 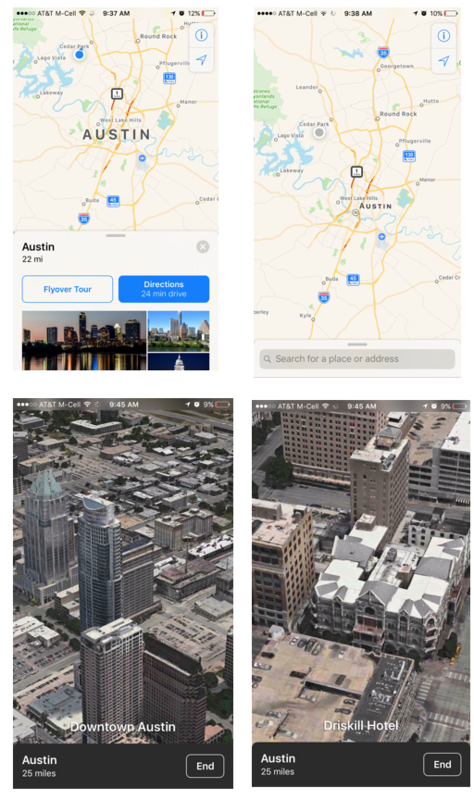 While the Facebook City Guides feature is used to explore the city as a whole, the Instagram Places tab can be used to search through particular neighborhoods. Simply search the neighborhood, city, or area you live in, or want to live in, and the Places tab (located to the far right, after a search) will collect all the recent snapshots from users geotagged by location. This tab will allow you to explore what is happening right now in that area – as well as where people who live in that area, or visit it, like to go to eat, drink, etc. How to find it: The Places tab is located to the far right, once you have typed in your search. Simply search for the neighborhood and then click on the Places tab to begin exploring the area! Twitter’s secret feature is the advanced search. How do you use it? Simply go on your computer, type in a location on the search tab, and then hit the advanced search option. This will allow you to customize your search. 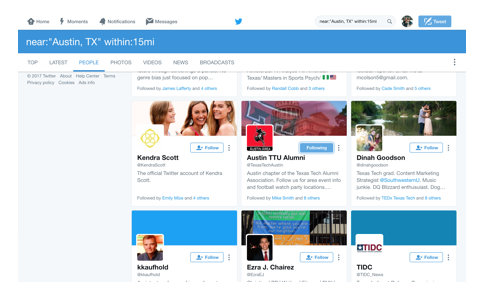 Once customized, hit search, and start exploring all the local blogs, news sources, and influencers in the area. These people, photos, or news are all located within 15 miles of your location, making them hyper-local. How to find it: On the computer, simply search for an area, and once searched, click on the advanced search feature. Do you want to get an overall feel for a city? There’s an app for that! The flyover feature, located on the iPhone map app, shows you an overall view of an entire city. However, this feature is not available for every area of the United States. How do you know if it is available? There are two ways: one, simply scroll over the city and see if there is a “3D” option, as shown below; or two, search for the city and see if there is a “flyover tour” button available, as shown below as well. Once clicked on, the flyover feature will take you on a flyover tour of the city. This tour points out the major attractions, while also giving you a good feel of what the city looks like. How to find it: On your iPhone, go into the Maps app and look for either a “flyover tour” button or a “3D” button over the city. Do you have any questions about the Austin area? Give me a call; I would be happy to help you get to know the city!